Right off the bat, we can state that the displays in these monitors are incredibly alike. Just take a look at the specifications for both of these 4K IPS monitors. These puppies feature LED backlight with a brightness of 350 cd/m2, 1000:1 static contrast ratio and a response time of 5 ms. I've even played a few games with it and must say that I'm very impressed at their control of ghosting. But back to photography. These are 10-bit HDR displays with 1.07 billion colors and offer a Wide Gamut; 99 percent of AdobeRGB and 100 percent of sRGB can be displayed on either of these screens. What's more is that the BenQ SW271 and SW320 have a 14 bit 3D look-up table, offering stunning color and gray gradations. The main difference between these two professional monitors is of course their respective sizes. The display area of the SW271 is 23.9 by 13.9 inches, while the larger SW320 sports a display area of 27.4 by 15.4 inches. The resolution of the two displays however, is the same. That means that the 27-inch SW271 has a higher pixel count per area (163 PPI) than the 31.5-inch SW320 (140 PPI). Not surprisingly, the smaller SW271 is also a little less power hungry than the SW320. The former’s power consumption is 43.38 watts, while the latter consumes a still respectable 50 watts. We have covered that the SW271 and SW320 mostly have the same specifications. The SW271 is the newer monitor of the two. And the design has changed somewhat in key areas when we compare the 27 inch to his larger cousin. 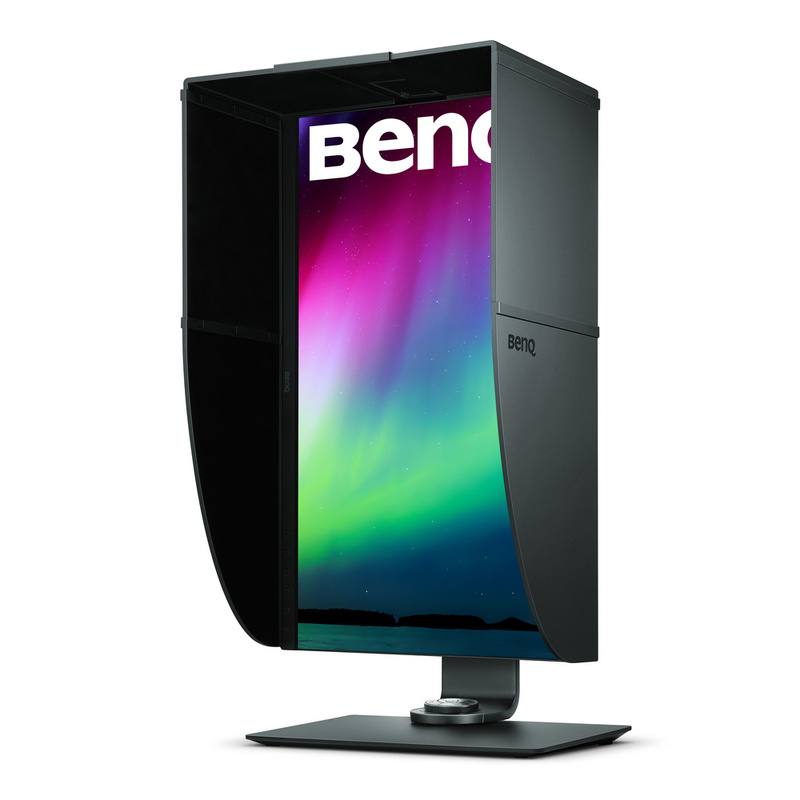 Most notably, the BenQ SW271 sports a thin bezel design around the sides and top of the monitor. I think that’s beautiful as the monitor isn’t much larger than it needs to be in order to carry a 27-inch screen size. 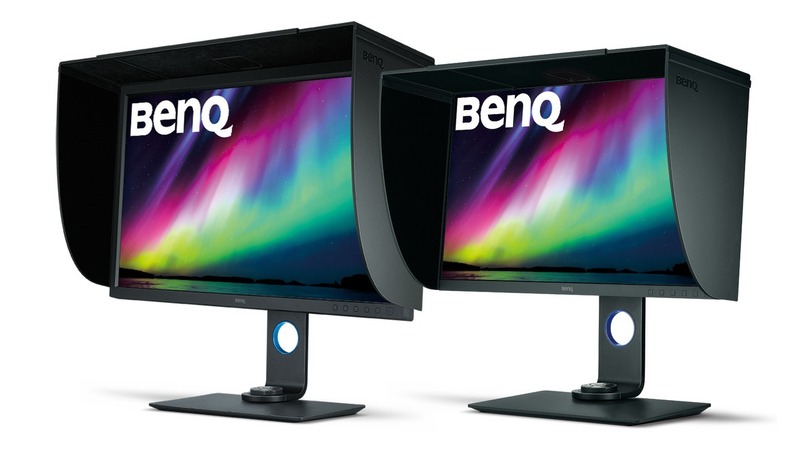 The BenQ SW320 monitor isn’t just larger. There’s no thin bezel design which makes the monitor a bit bulkier. Instead, the bezel is about 0.59 inches all around. Comparing the SW320 and the SW271, we can see that the design is somewhat similar, save for a key difference in their bezels. Another difference is that the 27-inch monitor offers an USB-C connector. 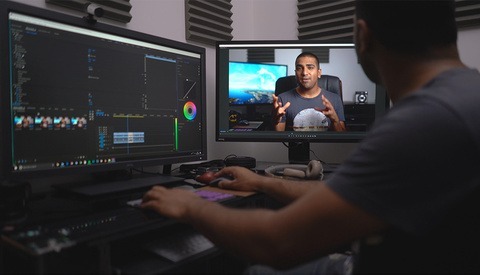 I don’t think that is a huge deal, but when you offer two USB 3.0 options at the back of the screen (both of these monitors have those), you might as well offer USB-C in this day and age. 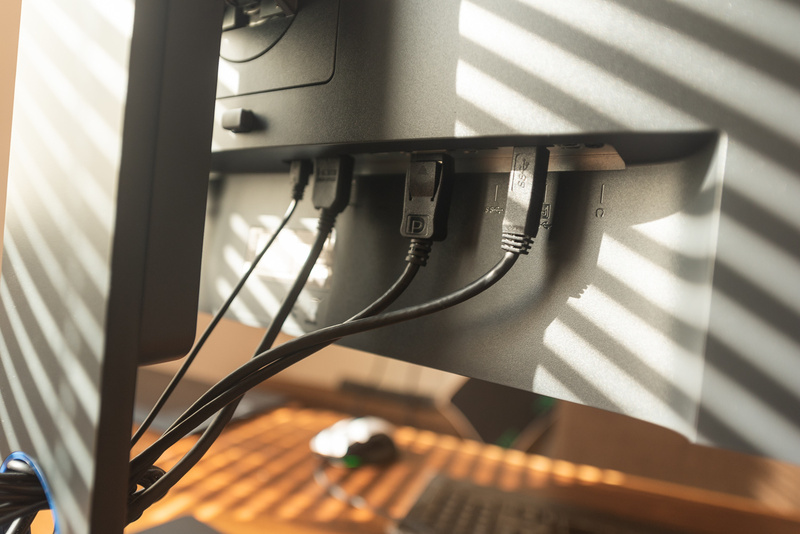 USB-C is also capable of transmitting video, so if your video card supports it, you could connect the SW271 using just this USB-C cable. Aside from that, both the SW320 and SW271 offer two HDMI 2.0 connectors, a DisplayPort v1.4 connector, and a fast card reader at the back of the screen which takes SD/MMC cards. No Compact Flash though. The card reader and USB 3.0 connections sit above and to the side of the cable connections. From left to right , we have the Hotkey Puck rigged up, followed by HDMI, DisplayPort and USB connecting the PC. These monitors come in an understated, dark gray finish and have a blue ring through which you can manage your cables. They’re all kitted out in high-grade plastic. I’m quite happy with that, since it takes the weight down. My previous monitor was a 30-inch IPS from five years ago that came in a steel housing and was outfitted with a steel stand. It consequently weighted a metric ton. 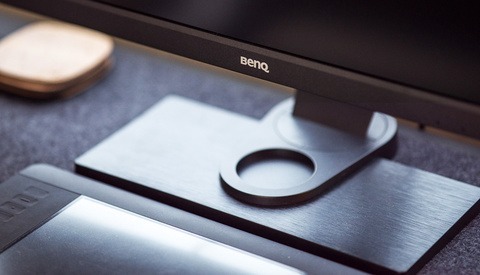 Even the 31.5-inch display from BenQ isn’t that heavy due to its chosen design materials. It comes in at a 31.3 pounds, which includes the stand and hood. The 27-inch monitor is 8.8 pounds lighter. This is what it’s all about. These monitors are aimed at the professional and enthusiast photographer who takes color seriously. As such, both the SW271 and SW320 monitors come pre-calibrated and are supplied with an individual calibration report. These babies are Technicolor certified, which means as much that you can confidently view images, videos, and games the way the producers intended. Speaking of which, these are HDR-enabled monitors. Don’t worry about playing back all the latest Blu-Ray 4K HDR movies. Both the Benq SW320 and SW271 are pre-calibrated individually. The calibration report is satisfactory, so you can unpack, plug in and create accurate colors with confidence. If there’s one specification I have when I select a monitor for editing photography, it is that it at least approaches the gamut of AdobeRGB. Both displays allow for a respectable 99 percent of that gamut to be shown. This enables you to crank up the Vibrance slider in Lightroom without your image going out of gamut in the blue or green. That’s an oversimplified explanation of course, but a Wide Gamut display such as either of these does allow extra color information to be carried. As a landscape photographer, it’s important to me to have additional wiggle room in green and blue. The deep greens of lush forests and the elusive teal tones of ice are some of the subjects I think about when I see AdobeRGB listed as one of the features of a new monitor. It’s not just another marketing term. While some photo sharing websites like 500px offer content in Wide Gamut such as AdobeRGB, most websites still display content in the Internet standard sRGB. More importantly, 90-plus-percent of users today view content in sRGB because their monitor doesn’t allow for a Wide Gamut viewing experience. 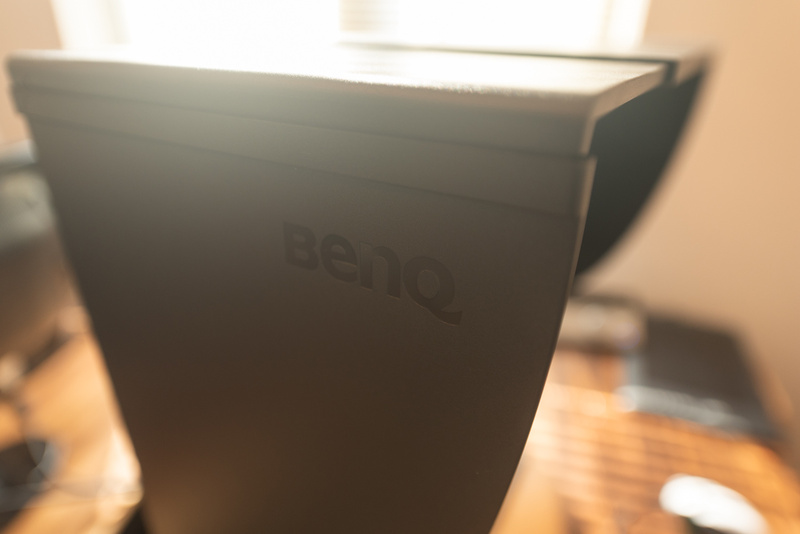 BenQ has got you covered. 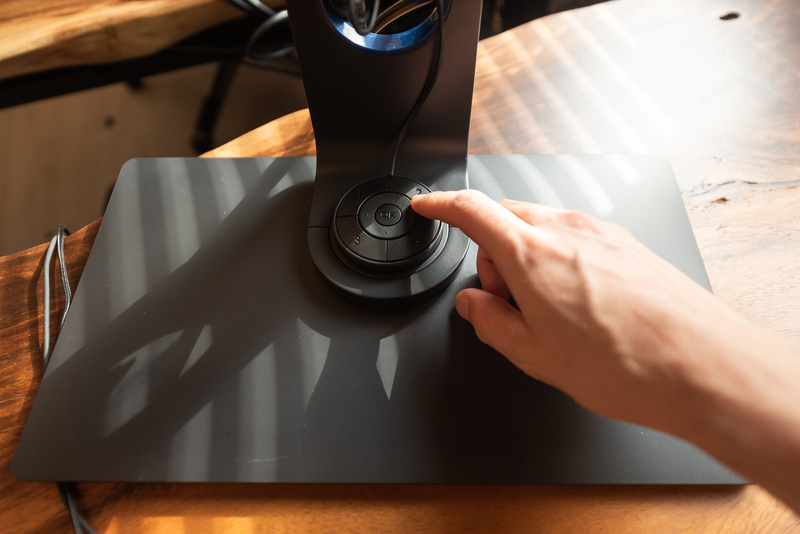 With the supplied Hotkey Puck, you can quickly switch between AdobeRGB, sRGB, and black and white viewing modes to see how your image looks in either color gamut. The Hotkey puck is a circular set of buttons on a wire, on which you can assign a couple of frequently used settings on your BenQ monitor. I’ve found this very useful for the default setting of switching gamut. It offers a preview of how your viewers will be experiencing your photo so you can adjust your image accordingly. With the Hotkey Puck on the SW271 and SW320 you can quikcly switch color modes to preview your work in another color space. Aside from those color spaces, you can set the monitor to a black and white mode, two custom modes, a darkroom viewing option, and of course HDR. For me, one exciting feature of both the SW271 and SW320 monitors is that you can rotate the screen very easily. I can now edit my vertical images in a vertical orientation with ease, while using up every bit of screen real estate. The screen does rotate one way. BenQ supplies both the SW271 and the SW320 with vertical shading hoods as well as horizontal ones. I'm personally very excited by how well you can edit your vertical shots when using a vertical screen orientation. You have to try it sometime. Both hoods are modular in design, meaning you will have to click them together in order to form the complete hood. They are numbered, so even when you didn't play with LEGO as a child it’s still quite straightforward to attach the right parts in the right order. The vertical and horizontal sunshade hoods of both the SW271 and SW320 are lined with a light absorbent fabric, rendering them deep black. This helps to retain similar viewing conditions in changing light over the course of the day. All in all, I think these displays are well worth their investment. The 27-inch BenQ SW271 monitor is sold for just under $1,100 at the time of writing this review, while the big 31.5-inch SW320 monitor sets you back $1,499. 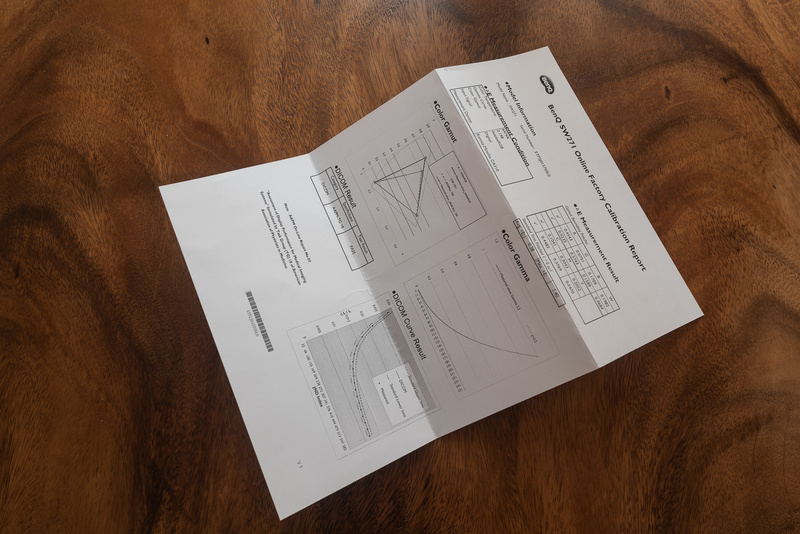 For this review, I did not calibrate either display because I think the BenQ factory calibration report speaks for itself. Aside from that, slight changes in viewing conditions like ambient light and the room you’re sitting in can be readily managed in BenQ’s software called Color Display Clone that’s supplied with either monitor. That being said, I do think it’s important to recalibrate your display at least twice a year to compensate for any gradual changes to the aging hardware. The BenQ SW320's hood looks ginormous, but rest assured that this was shot using a wide-angle lens in order to fit the full monitor behind my desk. 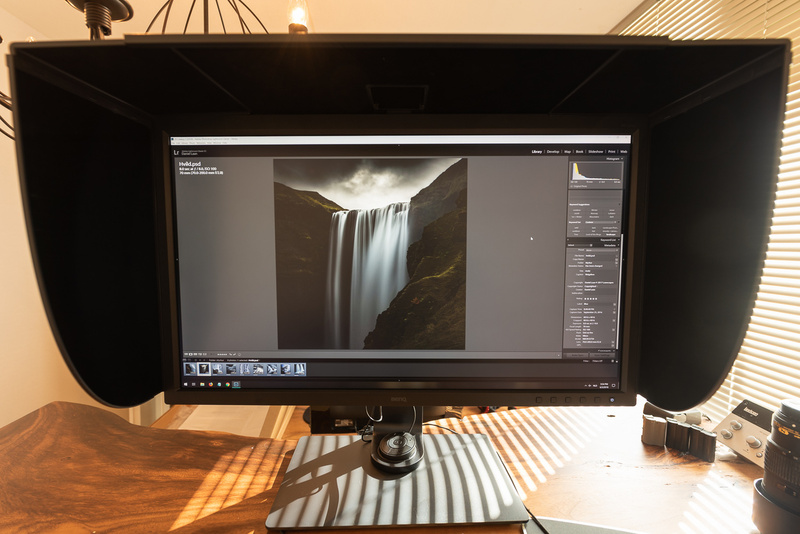 So which of these photography monitors is the right one for you? Both the SW271 and the SW320 offer the same screen real estate since their resolution is the same. But since everything is just a little bit bigger and more legible on the SW320, I find the larger monitor to be right for me. The SW271 does show your photos in more detail due to its higher concentration of pixels and features USB-C. These monitors are also the cheapest option aimed at photographers when comparing with them with the competition. Eizo and NEC currently offer similarly featured 4K monitors at higher price points, while LG and Asus offer such IPS monitors at lower price points. However, when we look at their reviews, these monitors are lacking the evenly distributed backlighting of the new BenQ competition. 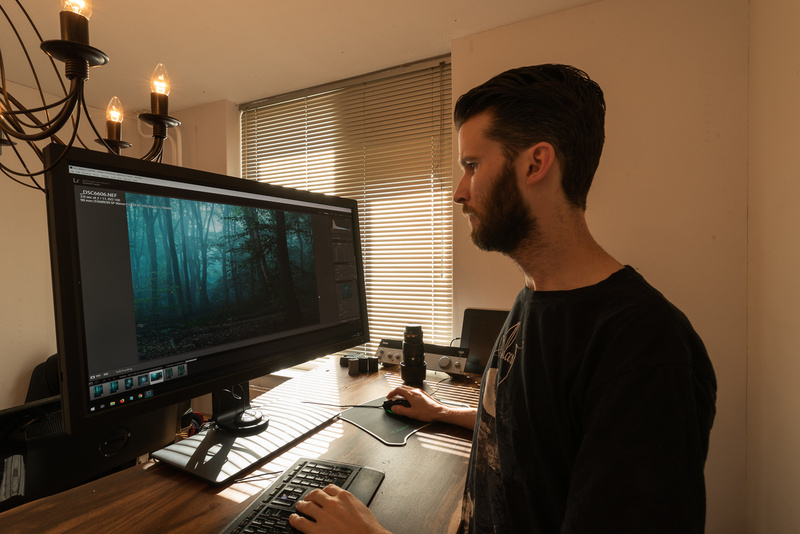 Reasonably affordable, high-quality monitors aimed at professional photographers. Feature-rich: 4K HDR, card readers, USB, HDMI, and DisplayPort connections. 14-bit 3D LUT tables for greater color blending and luminosity accuracy. There's no guide for brightness, contrast, or black levels. These can be manually changed on the monitor, but you would still have to proceed with hardware calibration to get the best results. It takes a bit of effort to get the shading hood right, but that's really nitpicking. Bottom line: The BenQ PhotoVue SW271 and BenQ PhotoVue SW320 are great value IPS photographer monitors which will not disappoint you. 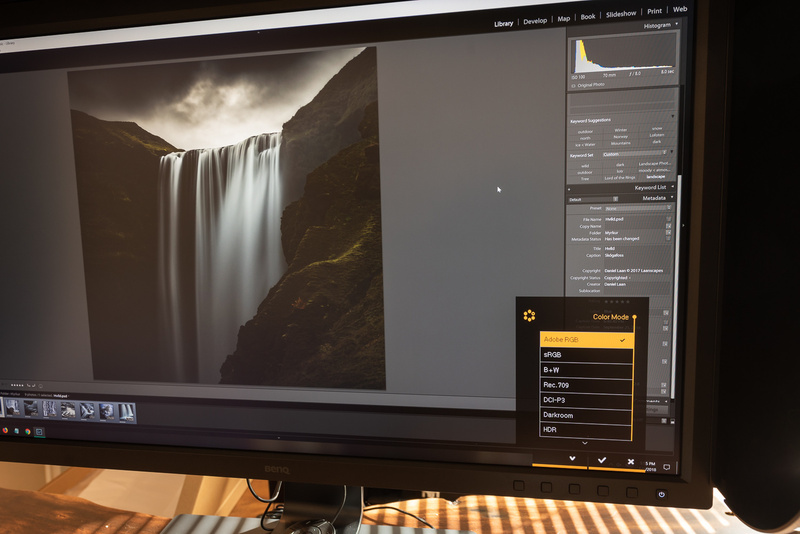 These monitors allow you to consistently produce stunning images in colors you can trust, straight out of the box. 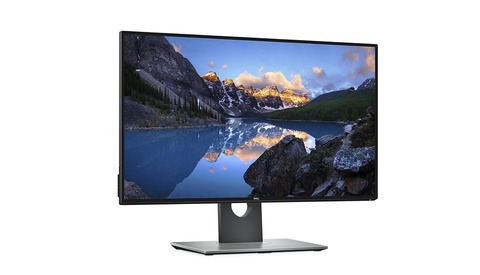 I would pick up the 32" if it had Thunderbolt 3 to drive/power my Dell XPS 15 9560. The 27" doesn't have power delivery, just video. I have the SW320 and despite being plastic, this thing is a monster of a screen. Really bulky and heavy. It doesn't appear like that in the pictures, in person it's just massive. I'm sitting fairly close to the screen but I have to say, it's almost too big. The edges of the screen appear to fall out of the ideal viewing angle and I think that's where a curved display would make sense. Overall though, it's a great value for sure. Especially since I got a refurb with a couple of scratches but for almost half the retail price.